Initially, Miguel's love gives her hope for a brighter future. But when he starts delving into the past, asking questions about her mother and the circumstances surrounding her death, their relationship begins to unravel and Laura is finally forced to revisit her family’s history in search of answers of her own. 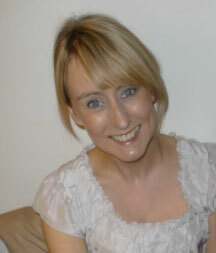 Caroline Doherty de Novoa grew up in County Tyrone, Northern Ireland. She left Ireland in 1997, at the age of nineteen, with a desperate desire to see the world. Since then she has visited nearly 60 countries. She has lived in Manchester, Madrid and Oxford, and now splits her time between Bogotá and London. She worked as a litigation lawyer for nearly ten years representing clients around the globe. Whilst she loved the work, the stories in her head and the call to write could not be ignored. So she often took writing workshops around London and wrote when she could find the time which, given the demands of her job, was often late at night or in airport lounges. In 2004, whilst in Madrid, she met her future husband Juan Novoa, a Colombian entrepreneur. Over the years Caroline and Juan travelled often to Colombia. In Colombia she found a culture very similar to the one she grew up in: friendly people, who knew how to have fun and weren’t afraid to laugh at themselves. After Northern Ireland, it soon felt like her second home. In 2012, she decided to step back from the law to focus on her two true passions: travel and writing. 2013 has been a big year for Caroline. In January, she moved to Bogotá, Colombia, to launch Hotel Trail. 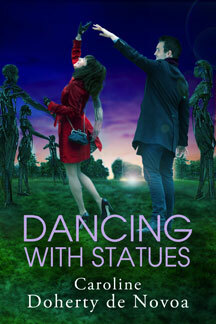 In February, Caroline realized a life-long dream when her first novel, Dancing with Statues, was published by Papen Press. She can now be found in cafés around Bogotá, working on her business and second novel whilst enjoying Colombian hot chocolate and “onces” (the Colombian version of elevenses).